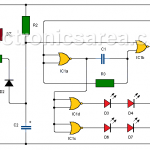 This power failure alarm circuit is very simple and is very useful when used with electric ovens, a refrigeration systems or to prevent a thief from cutting off the electrical power because it immediately warns of the problem. It also serves you when the fuses have blown. 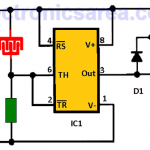 This is a simple Burglar alarm uses a thyristor as the main element and a relay as the output device. 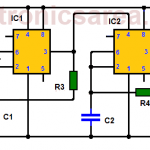 The relay can activate a buzzer or a siren. 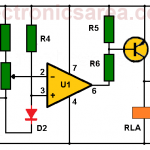 This light sensitive alarm is very simple and works using, as main components, a transistor, an LDR and a relay. The alarm activates when the illumination level changes from almost total darkness to a moderately high illumination level. When this happens the alarm is locked and the alarm signal, be it a light or a sound, remains active. 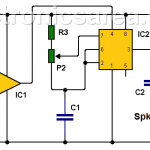 This Main Power failure alarm circuit tells us when the electricity that powers a system or circuit, is gone.